TMZ, the Hollywood-based entertainment website, is now trailing O’Rourke; he is being swamped by calls from Democratic operatives eager to work for him, and other campaigns-in-the-making are eyeing his moves closely for any signs of his intentions. 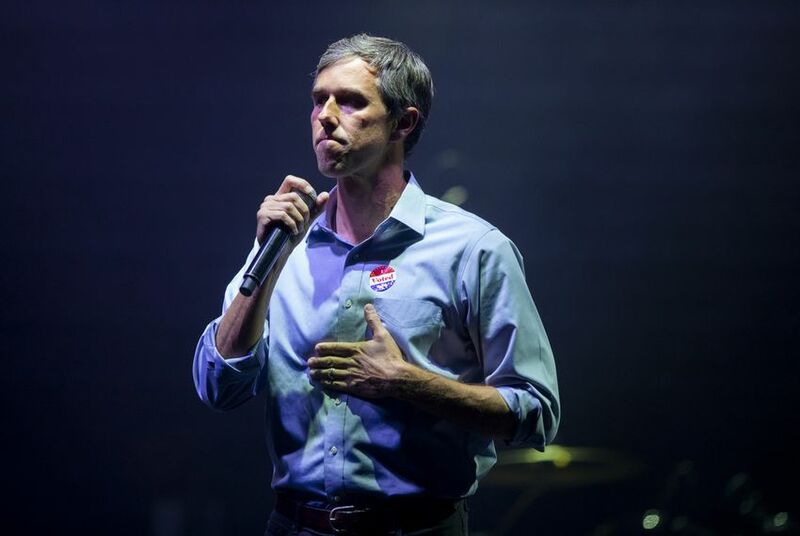 O’Rourke said at an El Paso town hall last week that he was considering a run, pending discussions with his family. His meeting with Obama came amid cross-pressures on O’Rourke to forgo a run for president to mount another bid for U.S. Senate, challenging Sen. John Cornyn (R-Tex.) in 2020. A spokeswoman for Obama declined to comment on the meeting. O’Rourke’s spokesman also declined to comment. The former president has reportedly met with several potential 2020 candidates, including Sen. Elizabeth Warren (D-Mass. ), Sen. Bernie Sanders (I-Vt.), and former New Orleans mayor Mitch Landrieu. He is in the awkward position of trying to ensure his party wins back the White House, but without weighing in too aggressively in a primary that could consist of his former vice president (Joe Biden), his longtime friend (former Massachusetts governor Deval Patrick), and former Cabinet officials (Eric H. Holder Jr., his attorney general, and Julián Castro, his housing secretary). Obama’s stated mission has been to build a new generation of Democratic leaders, and two weeks ago he said that O’Rourke, who is 46, reminded him of himself. The three-term congressman, he said, was one of the rare politicians who can connect with a wide swath of the electorate in an increasingly siloed country. O’Rourke last month finished 2.6 percentage points behind Republican Sen. Ted Cruz. Even in defeat, however, he was able to build a deep fundraising base, bringing in more money than any other candidate in the nation, and had a knack for creating moments that went viral online. He vowed repeatedly not to run in 2020 during his Senate campaign but has been reevaluating those plans over the last few weeks. One of the major factors weighing on him is the strain placed on his family. He was away for long stretches during the Senate race, which was particularly hard on his kids. Some of his closest friends still expect him to run, with one of them putting 60-40 odds on him getting into the race. O’Rourke has enlisted his longtime aide, David Wysong, to handle the barrage of incoming calls. But he has not made any commitments and has largely ignored requests coming from groups in the early voting states of Iowa and New Hampshire eager to have him visit. O’Rourke was not among the slate of candidates that Obama endorsed during the midterm elections, but that came in part at O’Rourke’s request. Obama offered several times to help O’Rourke’s campaign, including to come to Texas for a rally or to record robo-calls offering his endorsement, according to a source close to the O’Rourke campaign. Obama even recorded a video that O’Rourke’s campaign never utilized; it remained a subject of internal debate. O’Rourke rarely used surrogates during his campaign and did not like the idea of having outside voices tell Texans how to vote. He also hasn’t forgotten his 2012 congressional campaign, when Obama — as well as another former president, Bill Clinton — endorsed his opponent, eight-term Democratic congressman Silvestre Reyes. He also referred to the 2012 campaign, in which the top Democrats worked against him.